Queens of the Game in McCall’s lookbook, Spring 2014. Image: Issuu. 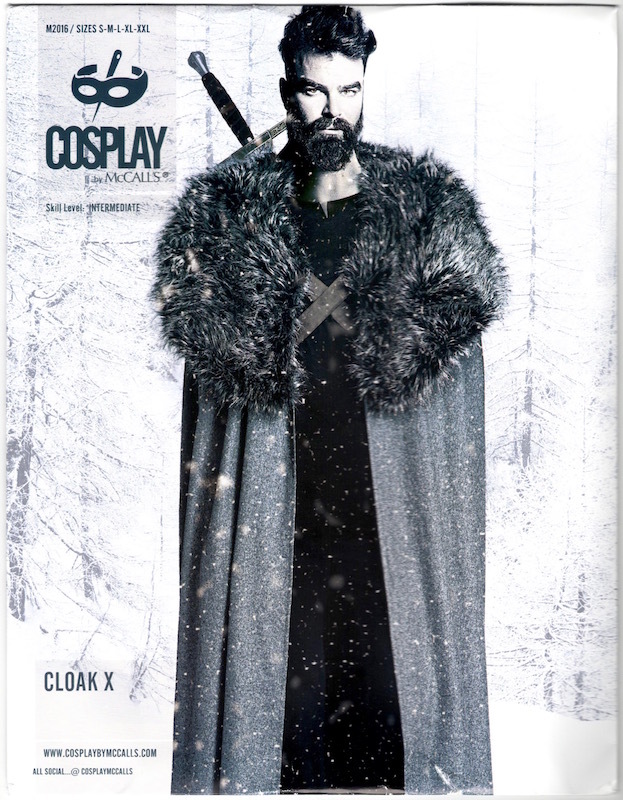 Dear HBO, Have you considered costume pattern licensing? 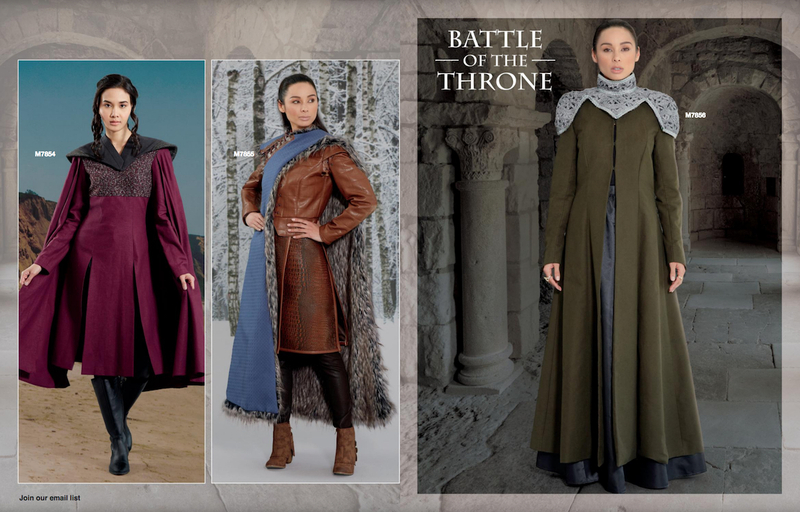 With a new trailer for season 6, and season 5 out on DVD, here’s a look at completely official Game of Thrones sewing patterns sewing patterns inspired by Game of Thrones. Fantasy Play in Simplicity’s lookbook, 2014. Image: Andrea Schewe. Dark Faerie Tales in Simplicity’s lookbook, Summer 2015. Image: 3D Issue. Still of Ciarán Hinds as Julius Caesar in Rome (2005) Image: HBO / IMdB. Costume for Daenerys Targaryen from “Beyond the Wall.” Image: Making Game of Thrones. 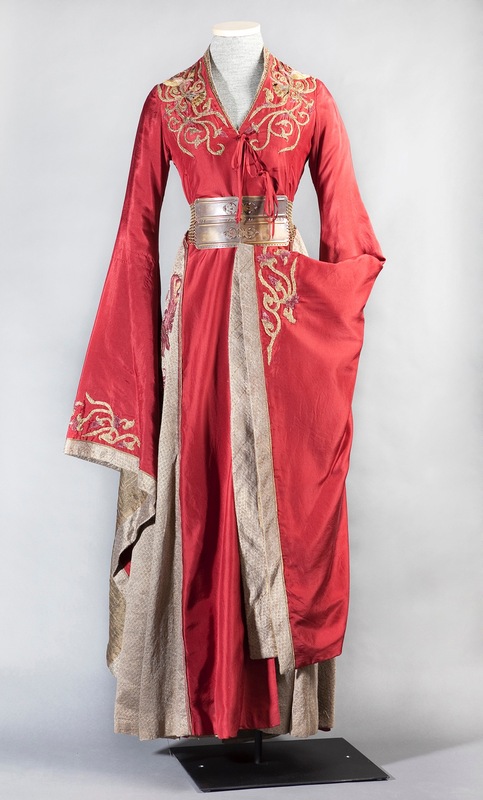 Cersei Lannister costume from Game of Thrones, season 1-2. Image: Bell Media. Alexander McQueen for Givenchy haute couture, Fall/Winter 1997-98 (Eclect Dissect). 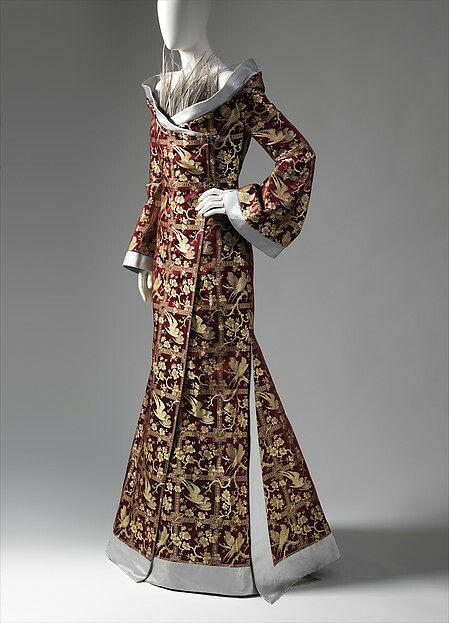 Image: The Costume Institute. 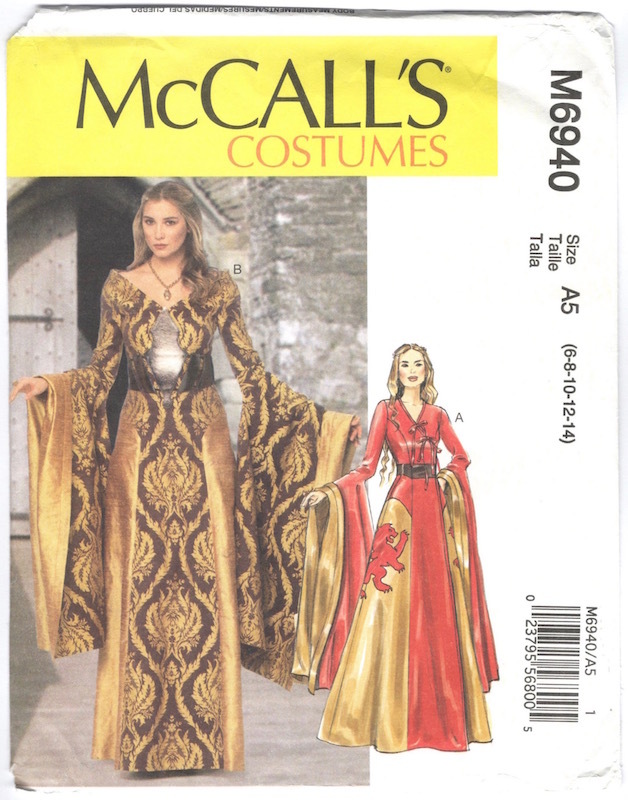 McCall’s 6940 (2014) Cersei Lannister costume. 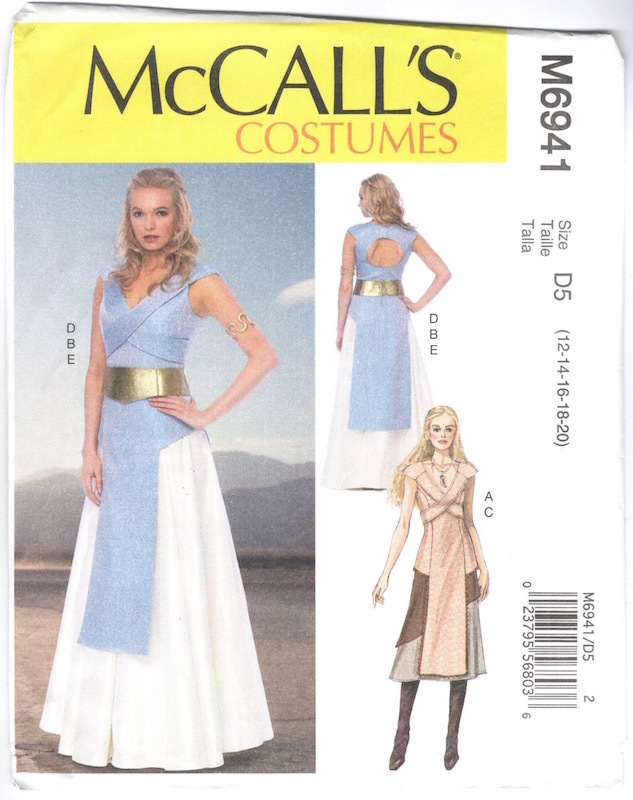 McCall’s 6941 (2014) Daenerys Targaryen costume. Hooded view of McCall’s 2016 (2016) Image: Cosplay by McCall’s. Simplicity’s Game of Thrones costume patterns emerge in full plumage, but quickly change colours to evade capture. 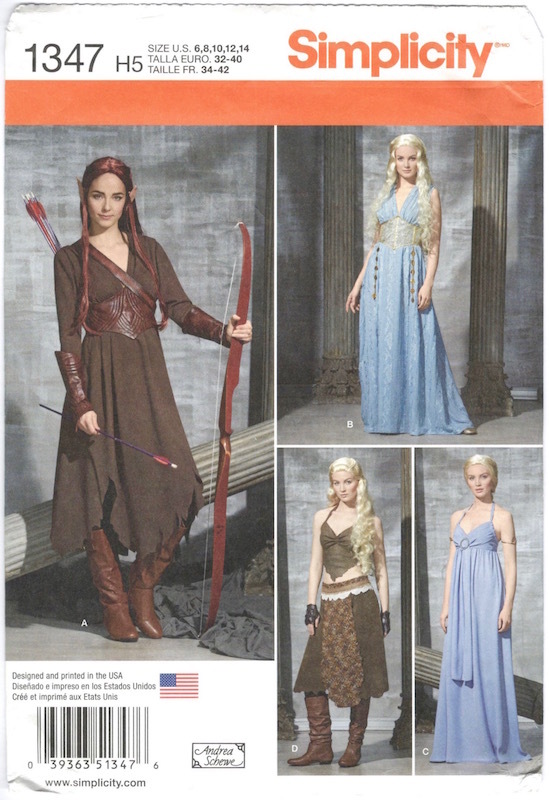 Simplicity 1347 (2014) Daenerys Targaryen / Tauriel costume. 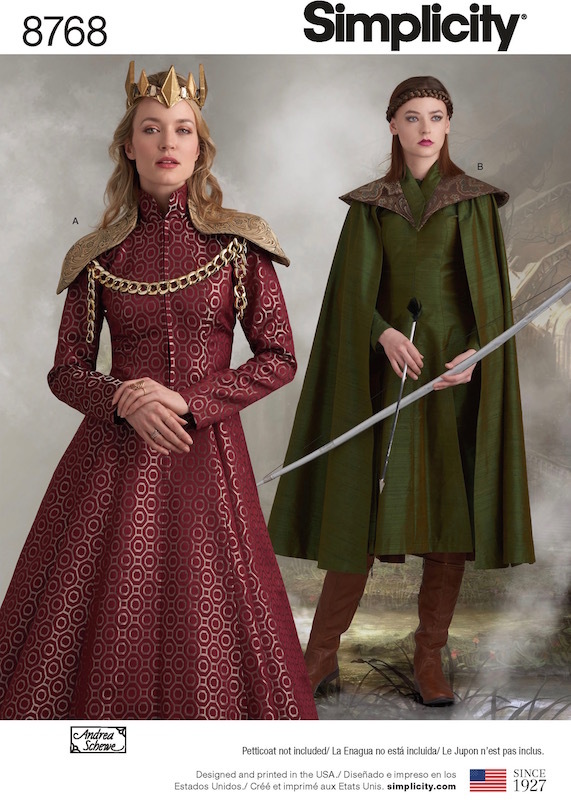 Simplicity 1487 (2014) Cersei Lannister and Sansa Stark costumes. Image via Etsy. 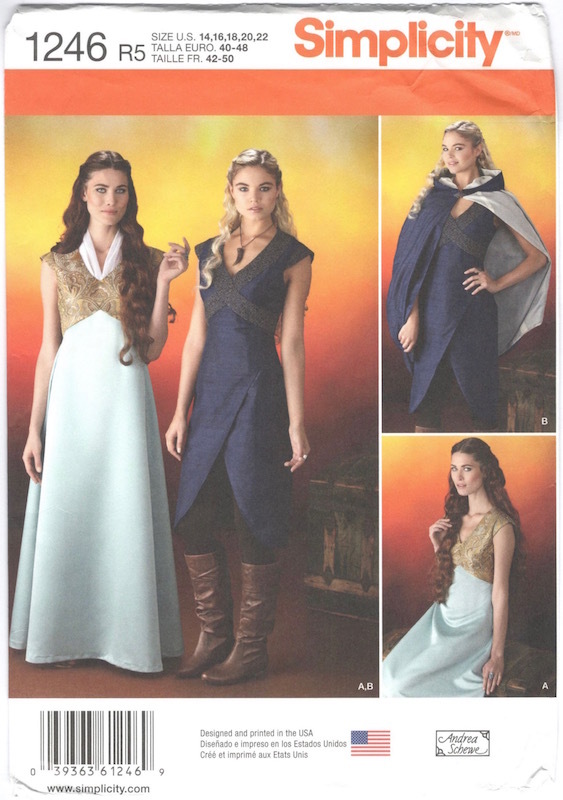 Simplicity 1246 (2014) Margaery Tyrell and Daenerys Targaryen costumes. 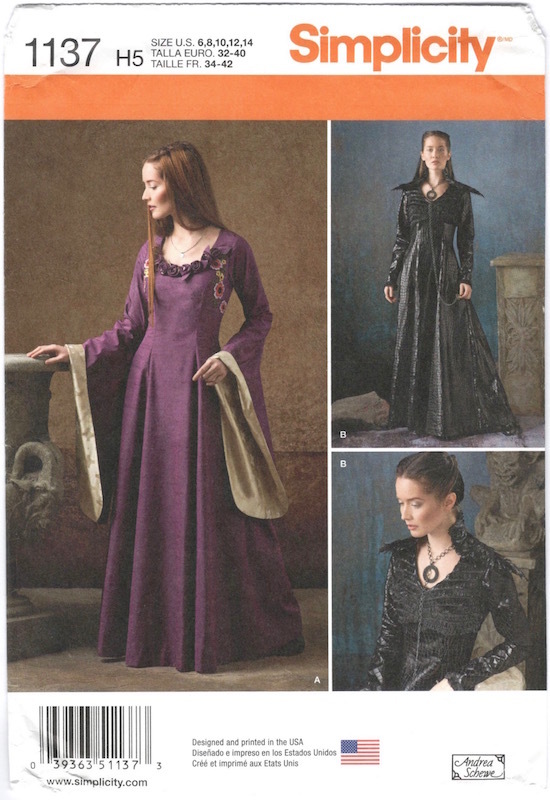 Simplicity 1137 (2015) Sansa Stark costumes. Sansa Stark costume, Game of Thrones, season 1. Image: Michele Carragher. Dark Sansa collar detail, Game of Thrones, season 4. Image: Fashionably Geek. 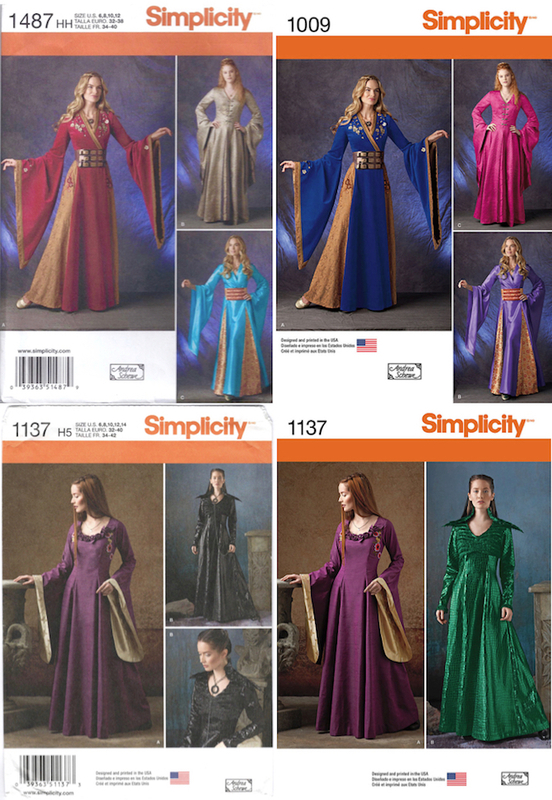 Simplicity 8074 (2016) Warrior costumes: Sand Snakes and Rey. 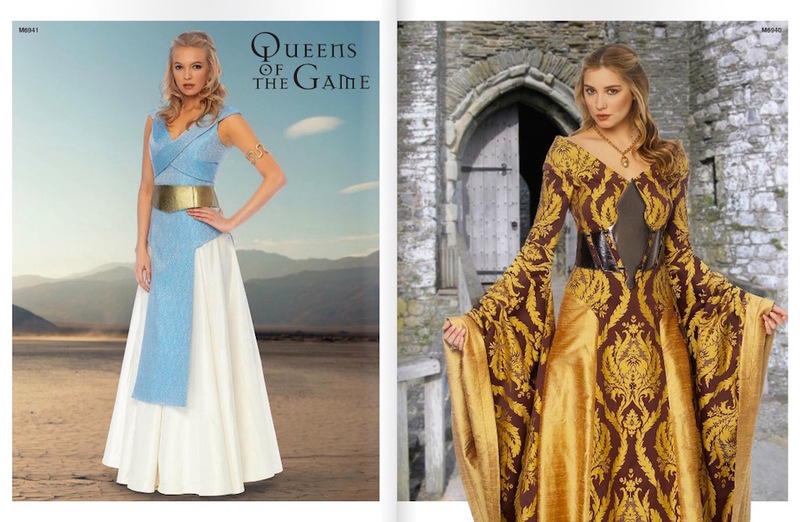 Sand Snakes costumes from Game of Thrones, season 5. Image: Making Game of Thrones. HBO is owned by Time Warner, which has existing pattern licensing for DC Comics. Do you think HBO should license Game of Thrones patterns? I’d be first in line for a King’s Landing halter dress or Varys’ kimono. 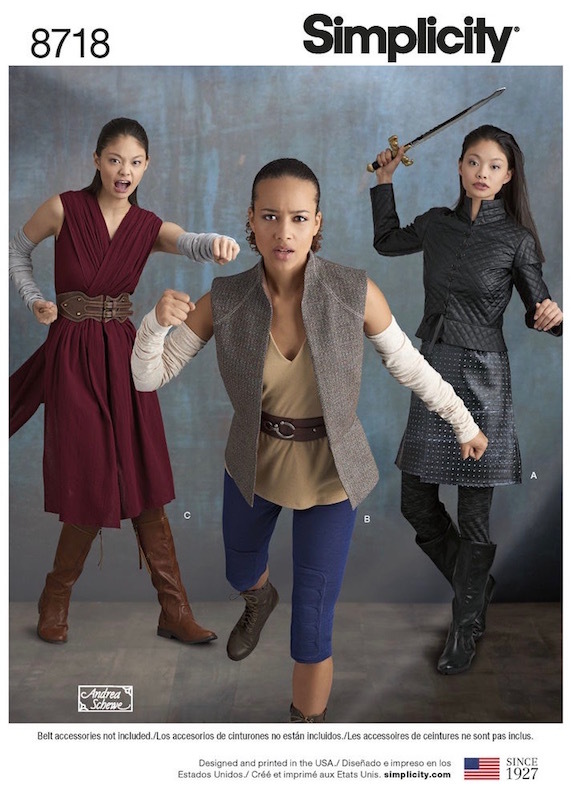 Simplicity 8718 (2018) Warrior costumes: Rey and Arya. Arya Stark sketch for Game of Thrones, season 7. Image: Making Game of Thrones. 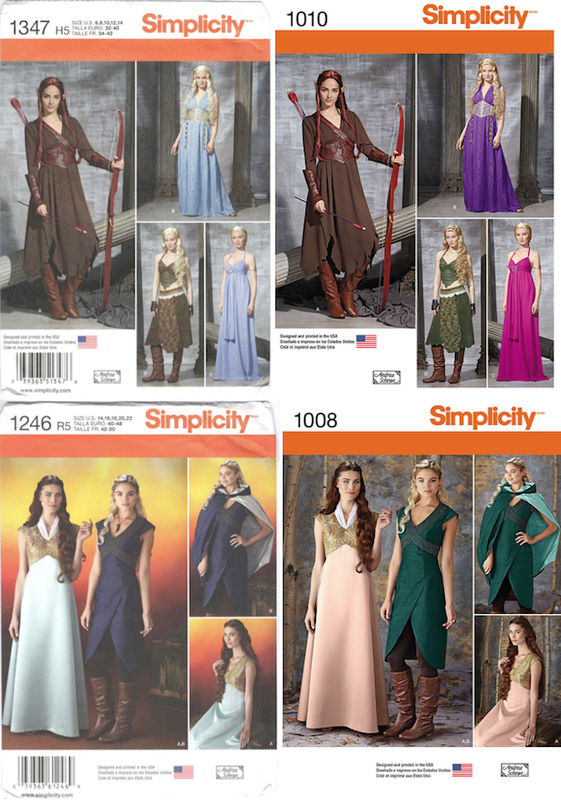 Simplicity 8768 (2018) Cersei and Daenerys costumes. 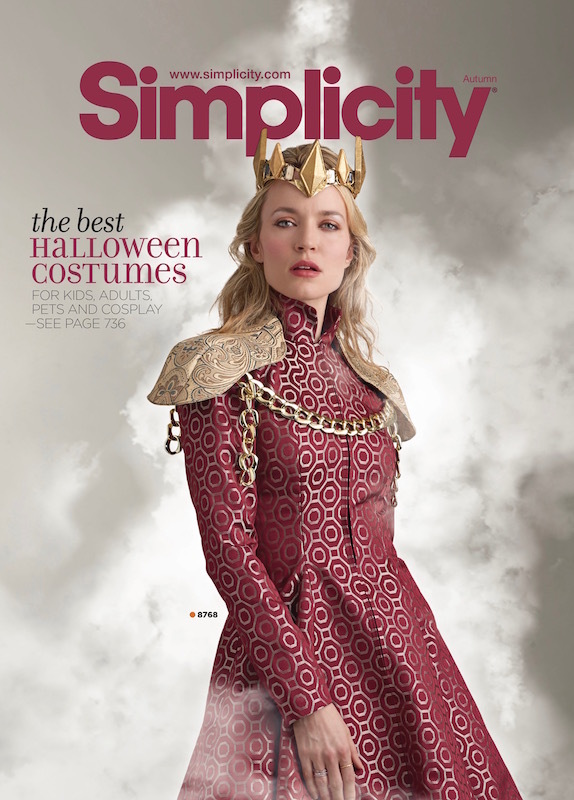 Cersei Lannister costume on the back cover of Simplicity’s Autumn 2018 catalogue. Image: Simplicity. 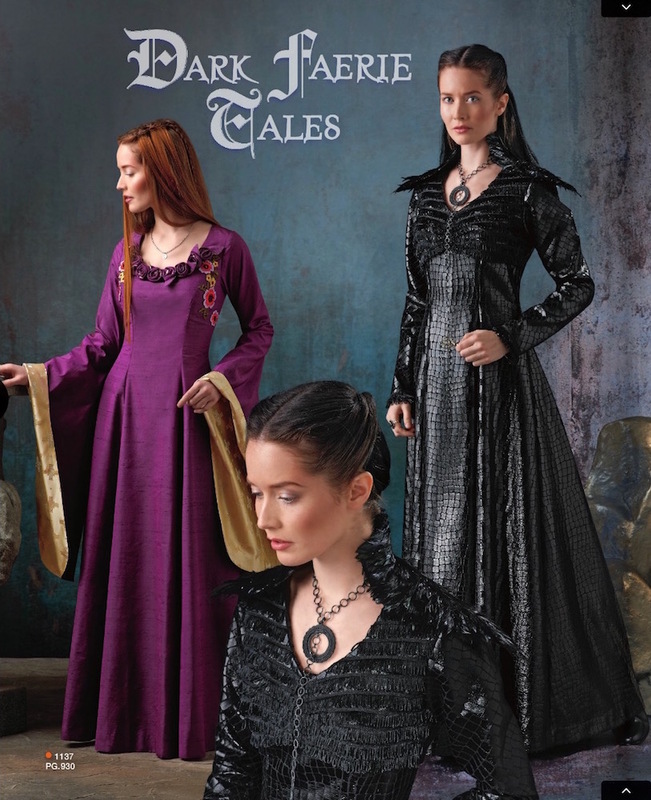 And Burda’s new Renaissance costumes work for characters like Sansa Stark and Tyrion Lannister. Game of Thrones wedding, anyone? Burda 6398 (2018) Image: Simplicity. Burda 6399 (2018) Image: Simplicity. 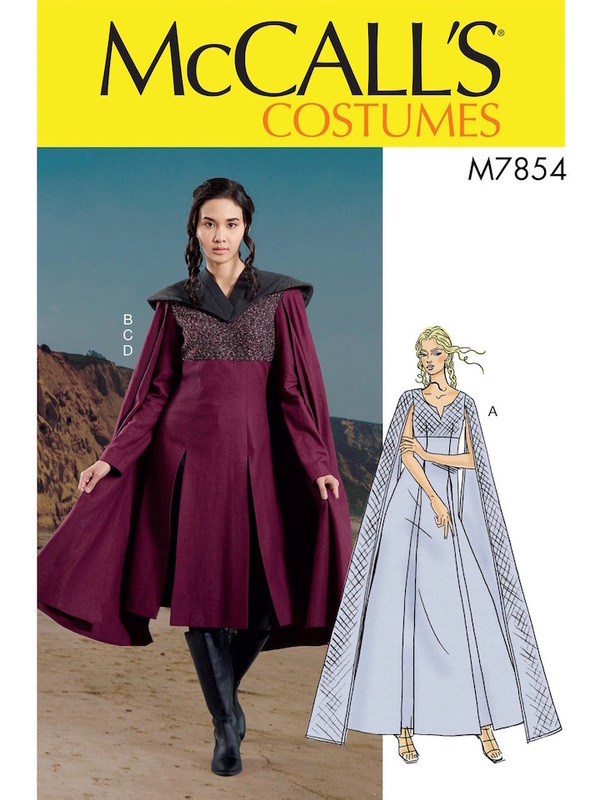 McCall’s 7854 (2018) Daenerys Targaryen. Image: McCall’s. 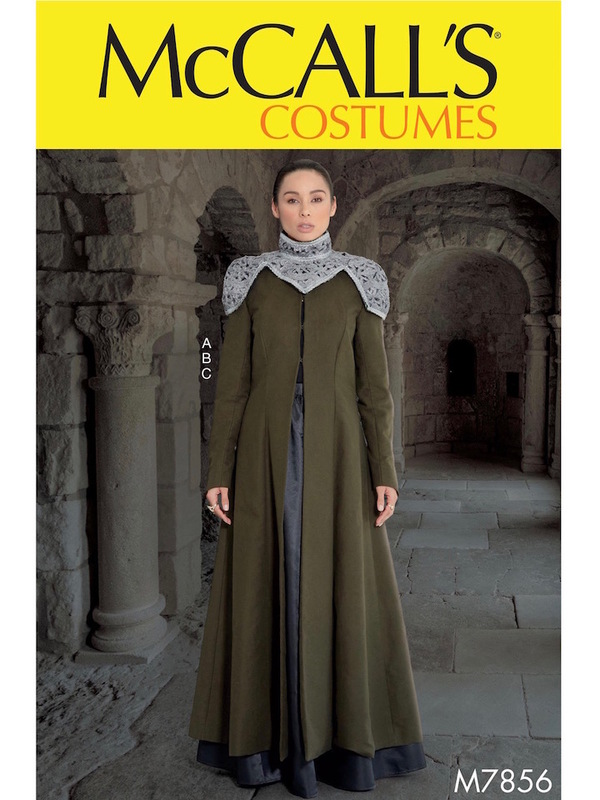 McCall’s 7855 (2018) Arya Stark costume. Image: McCall’s. 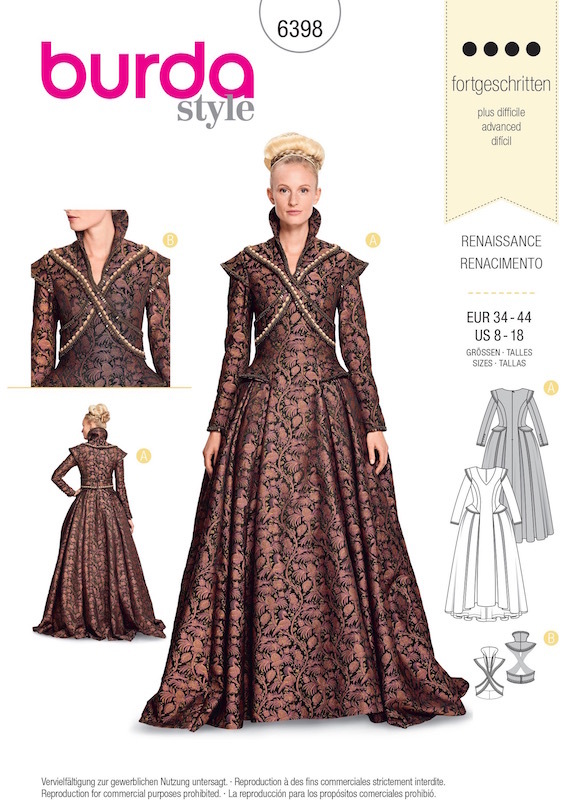 McCall’s 7856 (2018) Cersei Lannister costume. Image: McCall’s. 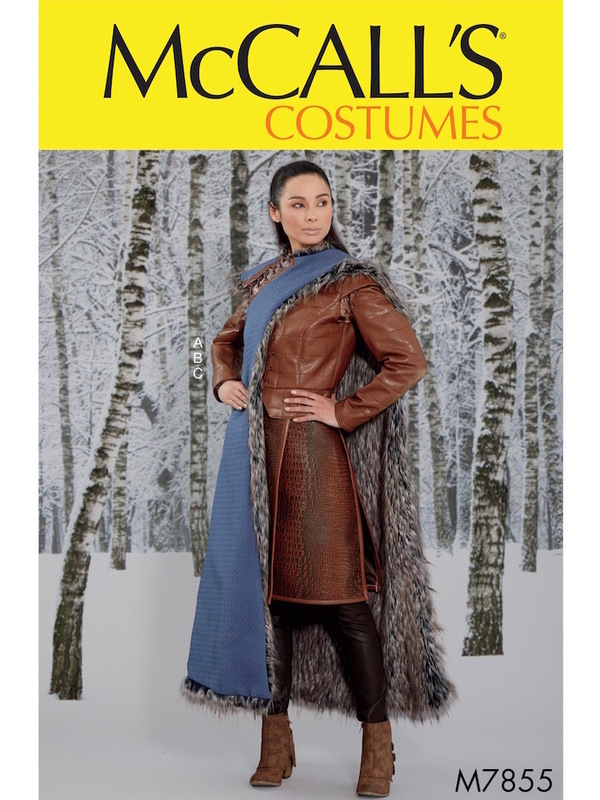 Battle of the Throne: Game of Thrones-inspired costumes in the McCall’s Fall 2018 lookbook. Image: Issuu. The Alexander McQueen is to die for. Wouldn’t I like to find a similar pattern. The grey dress with the flowers and the embroidery details is beautiful! The embroidery on the show is stunning. I’ve updated the post with some more interview / gallery links. Sansa’s embroidery is meant to be her own work?! Funny! She strikes me as lacking in the practical skills, but maybe with those long northern winters even Sansa would get tired of lute playing and cards and romance novels flown in via crow and eventually turn to needlework. Based on nothing but my own speculation. I haven’t read the books, maybe there’s more discussion of her special skills there. On an unrelated note, a Sand Snakes spin-off show would be really fun. It’s kind of wild that the pattern envelopes change colors. Like, fooling no one, yet not worth HBO’s time to crack down on. Ha! Yes, in the show and the books, the Stark girls have needlework lessons with their septa (nun-tutor). Sansa is the teacher’s pet, but Arya sneaks out to watch sword practice—hence her naming her sword Needle. You could say S’s “womanly arts” are framed as more ladylike than practical until she makes herself that daring black outfit. I suppose we’ll never know whether Simplicity was being preemptive or not.. Andrea Schewe commented that she couldn’t discuss it. I love this whole line of thinking. 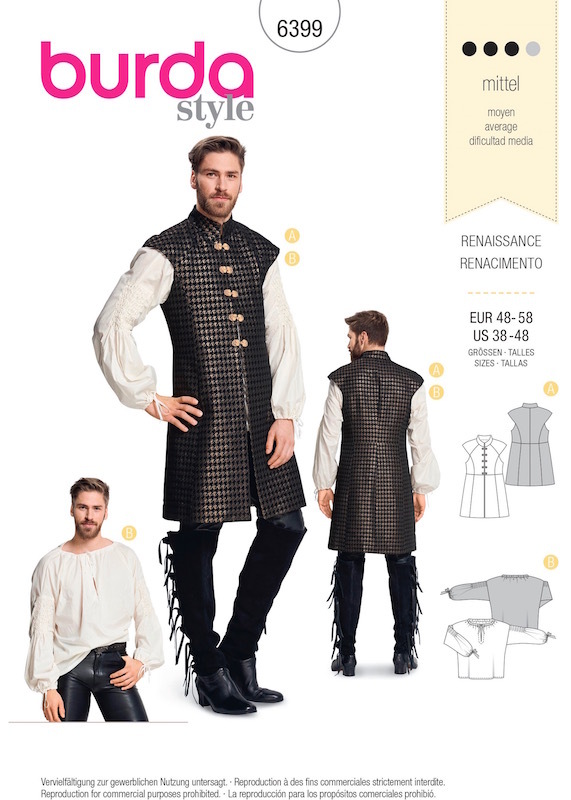 The licensed and unlicensed pattern lines fill me with giddy glee; I buy a lot of costume patterns I have no intent of sewing, simply to see how close they flirt with stealing some designer’s work. The licenses for Disney work ebb and flow between the Big4 over the years; now that they own Marvel, those are shifting as well. 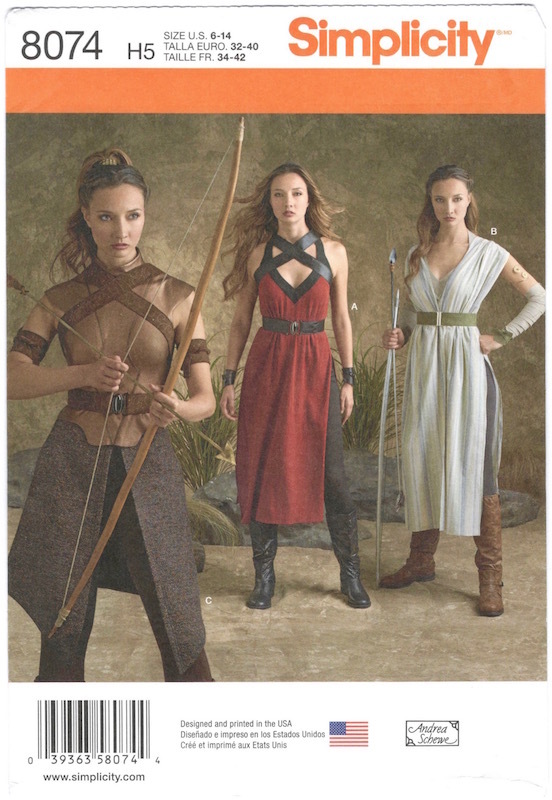 I was disappointed that McVogue did not bring their cosplay patterns to SewExpo this year. Hopefully in the future, they will expand past the NYC ComicCon. I *was* going to write an article about this. But Why re-write something that has already been covered so wonderfully? I’m new to costuming, but my eventual goal is the dress Margaery wears in 301 at the orphanage. Do you think those pleats were done one by one or in panels? So, I’d like to go to Boston Comic Con in August as Dany, but I don’t understand this whole thing? Why is it printed on paper? Is it not REAL fabric? I’m a bit confused, but I’d LOVE to wear her Qarth dress and would love any knowledge anyone has! I read the Printable pattern description but I just don’t understand! I’m new to cosplay, so any insight would be great! thanks! !